Custom Orthotics using 3D Volumetric Casting Technique. Welcome To Etobicoke SportMed & Physiotherapy! Are you suffering from an acute or chronic body pain? Do you want to recover from a surgery or sports injury? If yes, Etobicoke SportMed & Physiotherapy is here to assist you. Ours is a trusted wellness facility in Etobicoke helping patients in their rehabilitation journey. With comprehensive procedures, we offer treatments such as physiotherapy, chiropractic care, massage therapy, acupuncture, naturopathy, shockwave therapy, spinal decompression and class 4 laser therapy to ease your ongoing pain. With a treatment plan based on evidence-based results, we track your progress every step of the way. Our physiotherapists will alleviate your ongoing body pain and help in maintaining a healthy lifestyle. With chiropractic care, we aim to align your spine to reduce the back pain and improve the energy level. We follow a manual procedure to relax your muscles and soft body tissues to enhance overall well-being. With this ancient Chinese practice, we rejuvenate your inner energy levels and promote natural body healing mechanism. Our chiropodists can help you in overcoming common foot problems, such as ingrown toenails, foot sores and bunions. 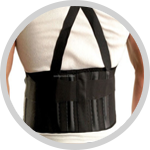 We provide a comprehensive range of custom knee braces, ankle braces, shoe insoles and other orthopedic supports. At Etobicoke SportMed & Physiotherapy, our goal is to get you back at your routine and the things you love doing. After you visit us for treatment, our physiotherapists will thoroughly assess your condition to create a customized treatment plan. Keeping the reason behind your chronic or acute pain in mind, we follow both traditional and modern treatment approach to help achieve fast and sustainable results. 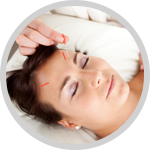 We help improves the body’s functions and promotes the natural self-healing process.